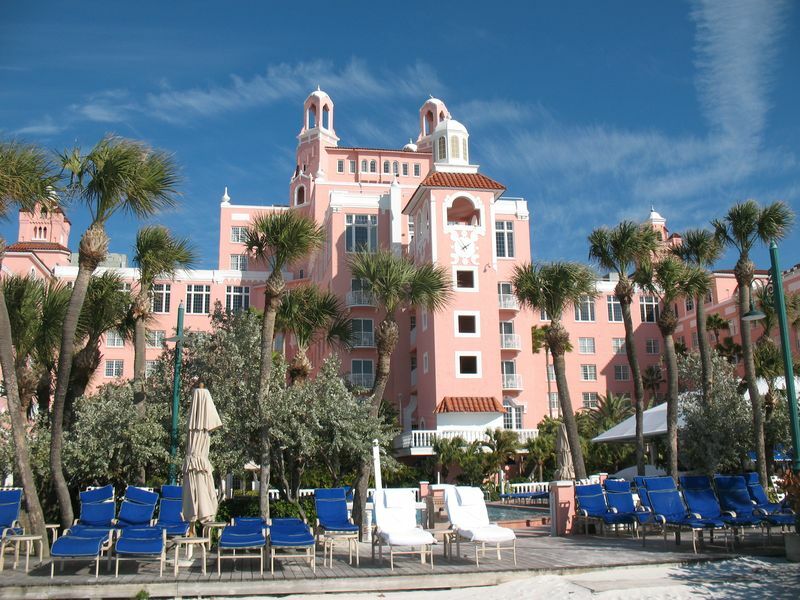 Loews Don CeSar Resort in St Pete – Perfect for a Destination Wedding in the U.S. 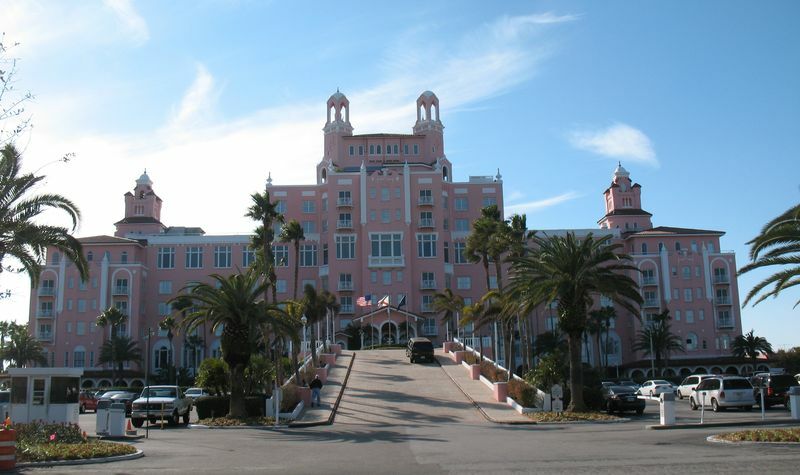 If coming in with a low budget is something that you want to accomplish for your Destination Wedding then this might not be the first choice, but compared to other more modest resorts in the area Don CeSar is surprisingly affordable. When putting together a destination wedding there are a few things to think about- location & reputation, capabilities and quality. Don CeSar has you covered, with 3 wedding coordinators on staff preparing to host over 400 weddings this year, rest assured that you are in good hands. If the service and attention to detail is anything like I experienced there recently I couldn’t be anymore comfortable in suggesting this as a great spot to tie the knot. Offering exemplary service at every turn, you will not be disappointed by the staff, by the facilities, or by the dining options…. 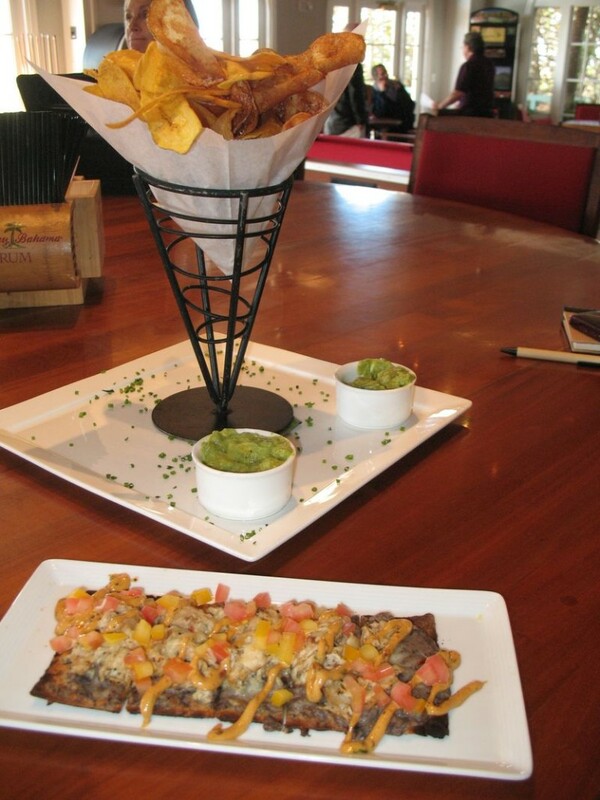 Flatbread topped with shredded island chicken, black bean spread & vegetables – Potato & plantain chips served with traditional guacamole and pineapple guacamole – Yum! For some people a grilled chicken breast over a rice pilaf is just fine- others require something a bit more interesting. A more interesting menu is what you will find at Don CeSar, but is doesn’t stop there. The spa features 16 treatment rooms as well as a private deck overlooking the gulf – oh, and it smells like heaven when you walk through the door of the spa! Body toning water aerobics and beach yoga are complimentary for all guests. Beachside pools offer full service including complimentary refreshments (Italian ice, frozen grape kabobs, smoothies, chilled towels , etc) plus a full menu of activities include volleyball, beachball dodgeball, cannonball contest, and lots & lots of pool pampering are all in store for you if you stay for a few days. How can you put a price on service? It’s the little things that mean so much – like the general manager stopping to have a chat – or walking into a restroom that smells of mint and eucalyptus – or being greeted by smiles from all the staff….lots and lots of staff can you put a price on that? Would you want your wedding celebration to be anywhere that offered less? My reason for stopping into Don CeSar was to find a Destination Wedding and Honeymoon resort located in Florida that I could feel good about recommending. I found it. So if a Florida based Honeymoon or Destination Wedding is something that you want, let EZTravelpad help guide you there – or wherever else your heart desires. After all, it’s your special day – but it’s not your responsibility to plan it all.